Cane Basket Wallpaper is an excellent quality Photo 3D wallpaper of a Cane Basket on Green Grass with fantastic depth of field. Cane Basket Wallpaper is created by editor02. The original name given by the artist for this set is Wicker Wallpaper. We have changed it for descriptive purpose. Resolutions for 4:3, 16:10, 16:9 displays and for iPad, iPhone 4. Resize if needed. It is a ZIP download, the file is 6.0 MB in size. This Article Has Been Shared 2697 Times! 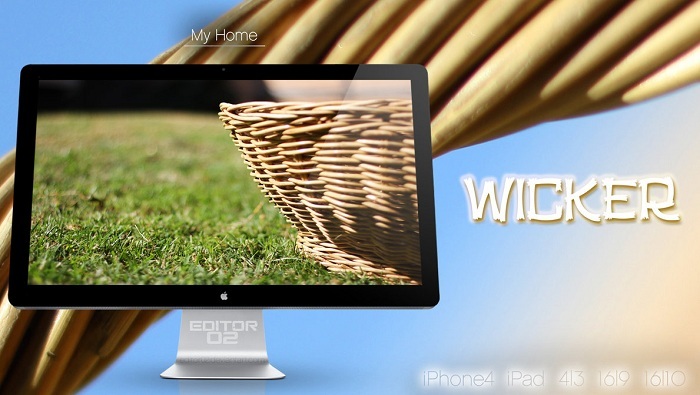 Cite this article as: Abhishek Ghosh, "Cane Basket Wallpaper for Desktop, iPad, iPhone," in The Customize Windows, June 10, 2012, April 18, 2019, https://thecustomizewindows.com/2012/06/cane-basket-wallpaper-for-desktop-ipad-iphone/.